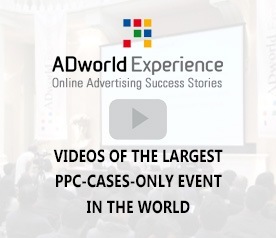 In these last days we updated the program of the next ADworld Experience, which will take place on April 4 and 5 in Bologna (or via live streaming). As in the last editions, the event will take 2 days, in the first one (4/4) there will be advanced seminars on 1) Google Ads, 2) Facebook Ads, 3) other network & PPC tools and 4) CRO. 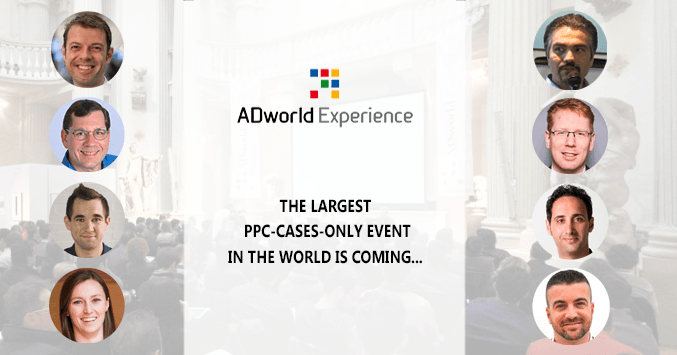 The second day (4/5) will be reserved to real PPC & CRO case stories (with one session focused on the international market and one for the Italian one). The 4 parallel rooms of the seminars will be animated by in-depth presentations lasting 1 hour and a half each, while case histories will be presented in 30 minutes each. On both days it will be possible to move at will from one session to the other and, this year for the first time those following us in streaming will be able to access all the sessions (half of which will always be presented in English in all time slots). As in 2018, Frederick Vallaeys, creator of Optmyzr (one of the most widespread Google Ads campaign optimization tools in the world), will be the moderator of the international session, while Fabio Sutto (Performance Based) will manage the room for the Italian market. Ruth O’Brien (English Facebook Ads Specialist selected among The Drum’s 50 women under 30 working in digital). + Some more others yet to be confirmed. The final detailed program will go online in a few weeks, but I can already say without any doubt that these speakers represent a selection of the best paid advertising industry (and not only that) has to offer at a global level. Sign up now. Venue’s capacity is limited (and the price will rise accordingly) + probably live registrations will soon sold out letting streaming to be the only option available.